Single hung windows prices can vary from $115 to $750 for the total cost of windows and installation. 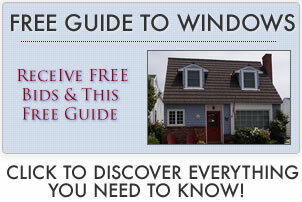 Discover window costs and pricing, as well as additional information on single-hungs. Entry level single hungs may come from a large retail store such as Home Depot or Lowes or be builder grade. The frame will typically be vinyl or a cheaper fiberglass model. It may be available in a small number of colors and features. The glass will typically not use fills, foam insulation and have a higher UV rating. Standard single hungs may be a lower end window from a top manufacturer or a standard or top end window from a lesser known window manufacturer. The frame may be a higher end vinyl, a cellular PVC or composite frame. The glass often will be double paned, and may or may not have fills or use energy efficient glass features such as low-e.
High end single hungs will be from a top (or at least expensive) manufacturer – Andersen, Marvin, Pella etc. The frame will be a steel, wood or vinyl clad with a wood interior. The window glass may be a double or triple paned, use low-e glass and have an argon fill with foam insulation. Expect to pay $40 to $250 per window for installation. A simple replacement or insert that fits well in an existing opening should run no more than $40 – $75. New construction installation where the contractor has to alter the opening in order to properly fit the window, do trim work, reinforce the frame or sill, etc. will run you, on average, $150 – $250 per opening. The larger the job (the more windows that need to be replaced), the smaller the “per hole” cost. This includes the windows and professional installation. This includes the windows and contractor installation.